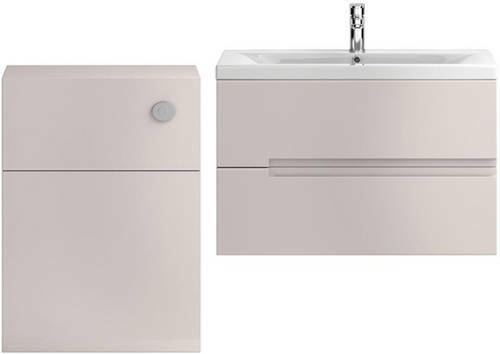 HR Urban > 800mm Wall Vanity With 600mm WC Unit & Basin 2 (Cashmere). 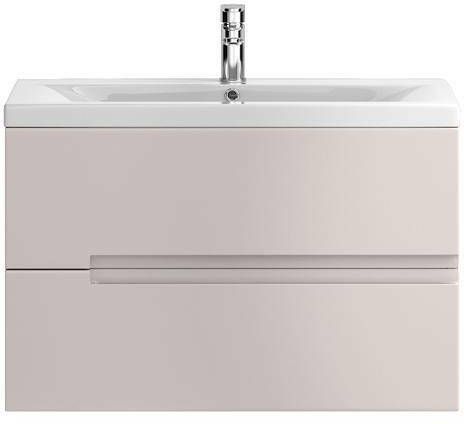 Hudson Reed Urban wall mounted 800mm vanity unit in gloss cashmere finish with 600mm WC unit and ceramic basin (type 2). Modern ceramic basin top (type 2). 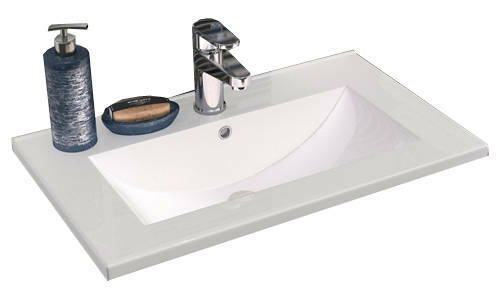 Wall hung vanity unit with basin (800mm). Stylish handle-less design (integrated handle). Vanity unit size: 810W x 500H x 385D mm. WC unit size: 600W x 850H x 220D mm (cistern not included). 5 Year guarantee: Hudson Reed guarantee these Urban bathroom units for 5 years. The Hudson Reed Urban bathroom collection incorporates the latest in handle-less furniture design, created in Italy and now highly popular in the UK. The earthy colour palette is right on trend, with a choice of Cashmere Gloss or Grey Avola. 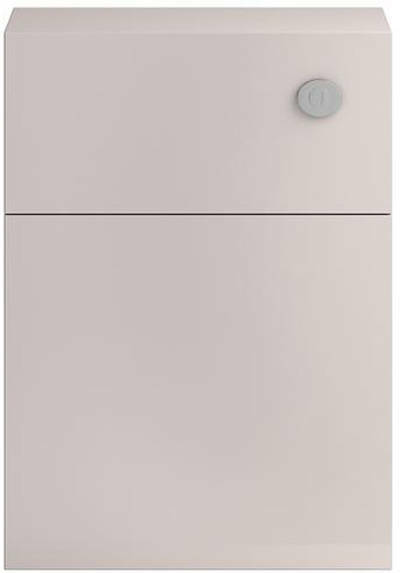 Choose from a selection of floorstanding or wall hung basin and cabinet options and for the ultimate in storage, combine with a matching tall unit boasting both a cupboard and drawer or a smaller two drawer side unit.